Sophie was born and raised in England but her mother’s side of the family is from Belfast. ‘When my Mam was in her twenties,’ Sophie explains, ‘she moved over to South Shields (5 miles from Newcastle-upon-Tyne) and settled down so I was brought up there.’ But Sophie didn’t play rugby when she was growing up. ‘Netball was the sport I played at school and at county level. When I went on to college to do my A levels, I continued to play it but I guess when you’re that age you’re interested in other things as well and can get distracted,’ she admits. She might have occasionally been distracted in her teenage years but her interest in sport, her athletic ability and the hand-eye coordination she had built up playing netball did not go to waste. When Sophie was at the Teeside University Fresher’s Fair, just about to start her Master’s degree, one of her friends asked her a question that seemed inconsequential at the time but, in hindsight, changed her life – ‘do you want to try a different sport?’ When Sophie said yes, her friend said, ‘right, we’re going to do rugby!’ and she was signed up. 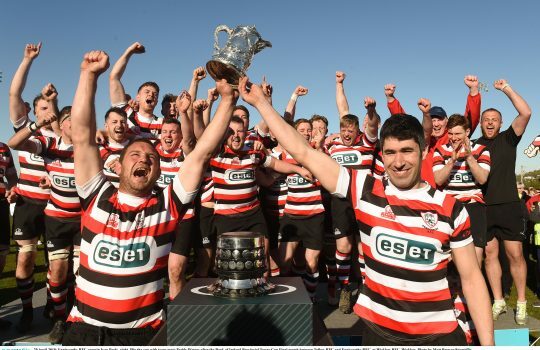 She played rugby at university for two years, played at Darlington Rugby club for a season and then went to Darlington Mowden Park (DMP) Sharks the Women’s Premier Rugby club. Another chance conversation, this time with a team-mate, led to her going to an Exiles training session. She took his advice and got a personal trainer. 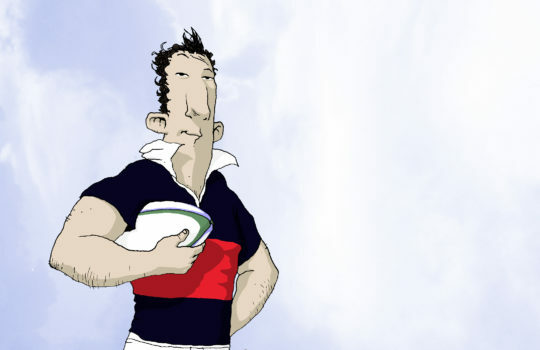 ‘In 2 months,’ she says, ‘the change in my physique and my strength was unbelievable.’ Then Sophie adds, with emphasis, ‘but this was following the plan to a ‘t’, mind!’ After every match she played, Sophie sent video footage of the match from England over to Goose in Ireland and waited to hear what he thought of her performance. She made the decision to move over to Ireland in 2013 after the Grand Slam victory to give her the chance to train with the squad in the lead up to the World Cup in 2014. But leaving England also meant leaving her teaching job to dedicate herself to an amateur sport that she knew she would not be able to play at the highest level indefinitely. ‘It was a big leap to hand in my notice early in my career,’ she says, of that decision. Looking back at her time as a rugby player, she says she values ‘the leadership I’ve gained and the learning I’ve had from all the people I’ve met. The good times you really cherish and during the bad times you think ‘what can I learn from this?’ I want to take that and put that into what I want to next. ‘You look at the Women’s All-Ireland Football Final Dublin,’ she says, ‘between Dublin and Mayo last September and the attendance was over 46,000 that was the world’s highest attendance for women’s sport in 2017 and the atmosphere was fantastic. There has been a massive improvement, she believes, ‘but for where we want to be we still have massive steps to take.’ To get investment she thinks women’s sport needs investment but to get investments requires great performances. It’s a vicious circle which makes the successes of Irish women in sport even more valuable. 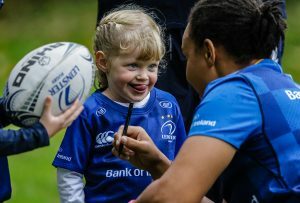 At the end of the interview, Sophie who works with young people in her role as a Community Brand Ambassador for Bank of Ireland and recently launched the Spence Rugby Academy starts to think about what her legacy might be for young girls considering sport. 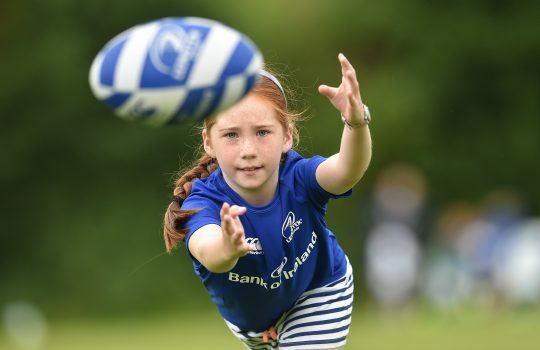 The Bank of Ireland Leinster Rugby Camps provide boys and girls, aged 6-12 years old, with a fun-filled week of rugby during the summer holidays. 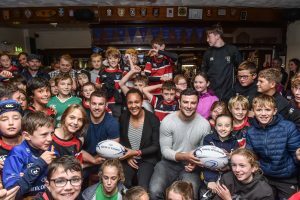 Click here to book a place on one of the Camps at a rugby club near you.